MSG is an abbreviation for monosodium glutamate (a sodium salt of glutamic acid or L-Glutamic acid). A German chemist Karl Heinrich Ritthausen has discovered Glutamic acid in 1866 by treating wheat gluten with sulfuric acid. Kikunae Ikeda from Tokyo Imperial University isolated it as a taste substance in 1908 from seaweed, calling its taste umami. Its commercial production and utilization in food industry started in 1909 as Aji-no-moto (“essence of taste”) by Suzuki brothers. Naturally, the sodium salt of glutamic acid is found in extremely small amounts in foods such as potatoes, mushrooms, tomatoes, some cheeses and other vegetables and fruits. It is well balanced with other non-essential amino acids and plays a balancing role in metabolic processes. When balanced with other non-essential amino acids as grown in nature, it presents no health dangers. Since MSG is a naturally occurring compound, the American Food and Drug Administration (FDA) had labeled it as “Generally Recognized as Safe (GRAS)” – when consumed in non-intoxicating amounts. The European Union classified it as a food additive permitted only in a limited range of foods with quantitative limits. When MSG is isolated from other amino acids and introduced into the body, it acts as a damaging excitotoxin. The artificially extracted pharmaceutical grade MSG substance is widely used in the food industry with the purpose of unnatural and dramatic perceptual enhancement of food flavor. 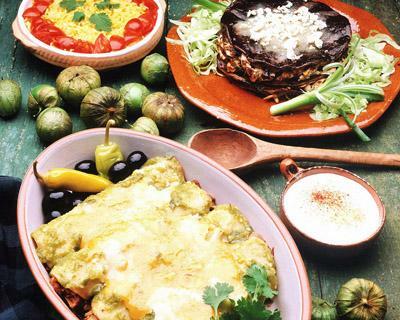 It brings up a savory taste to food, artificially raising the demand for the food it is used for. Besides its widespread utilization in the USA (in most of the preserved foods and restaurants foods), it is especially popular in Korean, Japanese and Chinese commercialized cuisines. Due to its prominent effect on humans and effectiveness of raising the sales, it has been placed into trademarked products such as “accent” by B&G foods, “Ajinomoto” by Ajinomoto, “Tasting Powder”, “Vetsin” and “Sazón” by Goya Foods, Inc.
Organic foods. An EPA approved growth-enhancers such as Auxigro (for spraying on fruits, vegetables) are widespread utilized in the USA. The USDA’s certified organic seal does not regulate crops after they are harvested, and USDA offers no guarantee of the absence of MSG in vegetables and fruits. Baby foods. Virtually all powdered infant formulas contain ingredients of processed milk/soy proteins that have hydrolyzed minerals such as whey protein concentrate, corn syrup solids, corn starch, carrageenan and casein hydrolysate proteins that are broken down into MSG during the production. 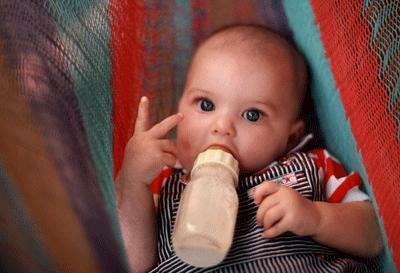 Although 1970s manufacturers of baby food removed MSG from their products, they replaced it with MSG-containing ingredients such as autolyzed yeast and hydrolyzed vegetable proteins. Dairy foods. Most of the fat reduced products are made from powdered milk, which contains the glutamic acid. Some of the most dangerous dairy foods are ultra pasteurized milks, powdered milks, cottage cheeses, yogurts, ice cream. Pet foods. Natural or premium, all have monosodium glutamate (MSG) added as both a palatant (flavor enhancer) to keep your pets addicted to their food. Agriculture. Plant growth enhancers, fertilizers, and fungicides. The products that almost always contain MSG are soups, protein drinks, processed meats, frozen entrees, gelatin, salad dressings, gravies, pharmaceutical products that use glutamic acid in binders and fillers. MSG is not a flavor enhancer. It does not improve the taste of food. It affects the tongue receptors into signaling an imprecise perception of the taste, which triggers the brain to perceive a supposedly higher amount of proteins being consumed. This signaling in turn places the body into an over-reactive state and triggers a chain of metabolic reactions which should not had been naturally invoked in the first place. The consequence of this process is an overstimulation of the nervous system that further excessively stimulates dependent bodily functions. With repeated consumption of this chemical compound, the body suffers an irreversible damage to its most vital organs due to chronic organ overstimulation. A first published report of a reaction to MSG appeared in 1968 when Robert Ho Man Kwok, MD, who had emigrated from China, reported that although he “never had a reaction in China, about 20 minutes into a meal at a restaurant, he suffered numbness, tingling, and tightness of the chest that lasted for around two hours”. MSG is not about just how we feel and harmless symptom manifestations that come and go. It triggers a complex body response that significantly alters the function of major body organs. Brain tissues. MSG, a glutamic acid, is an excitotoxin. It overexcites brain cells to the point of damage or death. The death of the brain cells and glutamate receptors damage are the direct contributor to incurable diseases such as Alzheimer’s and Parkinson’s and other neurological diseases. Multi-organ involvement. MSG has been linked to short, as well as long term adverse health effects such as mental degradation, eye damage, headaches, fatigue, vertigo, depression, mood swings and lowered immune response. Cancer is one of the unfortunate artifacts of a prolonged immune suppression. Humans. 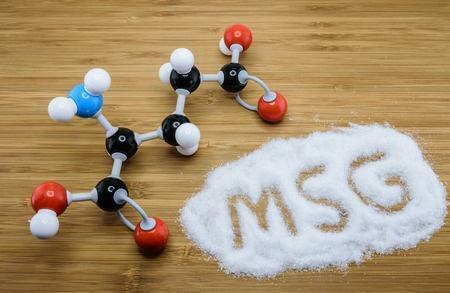 The studies estimate that up to 40 percent of the population is impacted by MSG consumption and report significant symptoms. On the other hand, the other share of individuals who do not report the symptoms, may either simply ignore the signs of MSG poisoning or have not learned to recognize the MSG poisoning symptoms. A 1995 report from the Federation of American Societies for Experimental Biology (FASEB) for the United States Food and Drug Administration (FDA) showed that all individuals in a subgroup of otherwise-healthy individuals develop an MSG symptom complex when exposed to 3g of MSG in the absence of food. Animals. John W. Olney, MD, reported that laboratory animals suffered brain lesions and neuroendocrine disorders after being exposed to MSG. Retinal degeneration occurred and mice became extremely obese. Both processed glutamic acid and MSG produced the same results. In general, a complete avoidance of an MSG extract is the ideal solution to stay healthy and avoid MSG short and long term poisoning. However, since the food industry hides the MSG under different labels and processes, the only remaining solution is to completely avoid processed foods and prepare meals at home from whole foods.